Ignou Support – In this article, I am going to update the learners about the support and contact details of the Indira Gandhi National Open University. At the end of this article, the students will be able to know about Ignou student support phone no, contact, email Id, list of Regional Centres, etc. The Indira Gandhi National Open University is one of the biggest open distance learning universities in India and abroad. It is mostly known with its abbreviated form i.e. IGNOU. The university has sixty-seven regional centres and twenty-six hundred sixty-seven study centres all over the India and in few other countries as well.According to the recent update, the university is offering a total of 226 programmes to the learners all over the country. All the programmes mentioned above comes under various the Schools of Studies. These IGNOU schools are 21 in number. The estimated number of students on the rolls of the university are 30,74,377. To handle all these schools and students, IGNOU has very vast staff and academic counsellors. It is also very tough to provide the academic support to these huge number of students database. 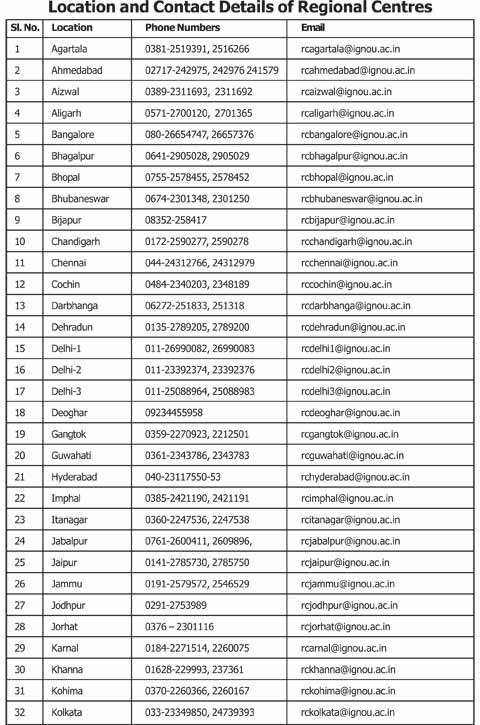 The university has created various departments and helplines which provide support to students in case of any query or difficulty. The Student Service Centre located at university headquarters in New Delhi provides the solutions to the student’s query. 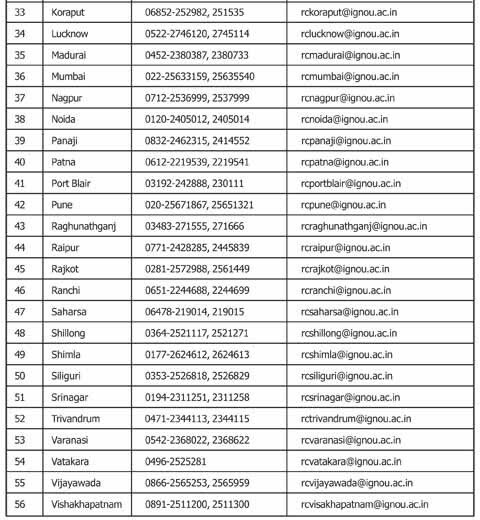 They have provided the numbers of Contact numbers for the student’s help on the official website of the university. They do not provide any help to the students. They never pick up the calls and do not reply to mails. Then why they have give false hope to students for any kind of help. Wait for re-registration to open for January 2018 session.